Established in 1999 in Fukuoka, Japan and dissolved in 2010, developer Cing (pronounced "sing") was a gamemaker that I have a bit of a soft spot for. They were a developer-oriented company founded by a group of game makers and producers who wanted to create artistic, cinematic, story-based games “that offered unique experiences” (to quote their now defunct website). They were always a small company; they never had more than 30 people in their employ at any given time. Their games were in the text adventure or strategy genre. They were not a company that made rock 'em, sock 'em action games or brawlers or shooters. They needed a few years to find their voice, but even when they found their footing as game developers, they never truly had a breakthrough hit. In their 11 years of operation, they were active for about 7 of them and ultimately released 8 games during their lifespan. Let’s reflect upon their body of work. Even though they were founded in 1999, Cing didn't release their first title until late 2003! Cing’s first ever video game was a co-production with Capcom: Glass Rose for the PlayStation 2. This is a horror themed mystery game that takes place in a remote Japanese mansion. You play as a reporter Takashi who explores a haunted house where a series of murders happened 70 years prior, but then he’s knocked out and transported to the past --1929-- and now he has to explore the mansion and interact with it's residents. Glass Rose has a few fans, but it never did well enough in terms of critical reception or sales to even be bestowed upon the designation of "cult hit". I've heard the game compared to Shenmue a few times (Which I don't agree with... at all!) and Resident Evil (which.... almost works? There’s pre-rendered backgrounds… It takes place in a mansion..). Let's think of a comparison that’s closer to the adventure game realm side of things. You have Mind Points which act as your Hit Points, similar to Ace Attorney's penalty meter. Like in Ace Attorney/Phoenix Wright or any of the old Sierra adventure games, you're going to want to save where and when you can and take plenty of notes! One major mechanic you'll need to use in order to move things forward, is to highlight certain parts of the NPCs text to scrutinize what they're saying (This game mechanic is called "Divine Judgement"). 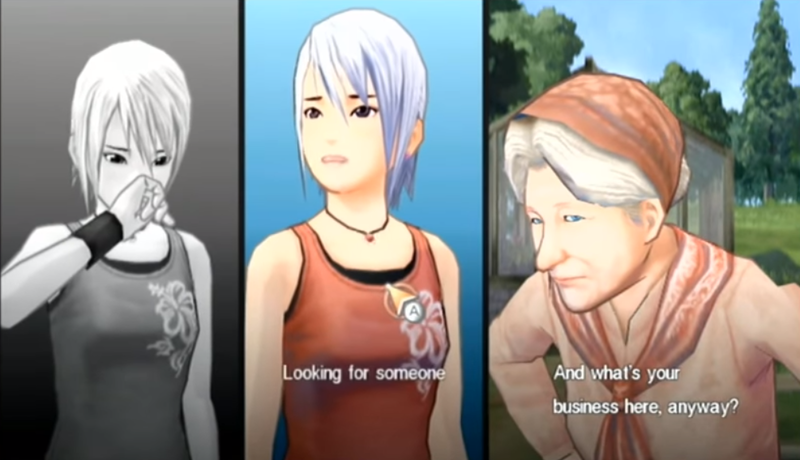 You can see some some themes, styles and traditions that Cing would revisit in later games (Trace Memory and Hotel Dusk) such as the ethereal music, the brooding, navel-gazing reflections and dialogue, and the trope of an everyman protagonist being introduced into situations that are seemingly supernatural, but the game isn't great. It's like a clunky TV pilot for the company. Using the default PS2 controller with the point and click interface....is kinda tedious! One of my buddies tells me that it works with a PS2 mouse. I have never heard of such a thing. Something I found obnoxious is that within Glass Rose's time system, rooms seemingly lock and unlock randomly and unless you're obsessively checking your map, you're not gonna know where you can go at any given time. And then there are the occasional quicktime-events where cutscenes are paused as you react.... the game can feel slapdash at times. In theory, Glass Rose is all about reading, paying attention, solving puzzles and ambiance. However, it would take some time for Cing to perfect all these traits. The problem is, the story isn't tight, nor does the plot unravel itself in a way that is particularly interesting or engaging. And that wouldn't bother me too much if the game environments were designed well enough that you'd want to get lost in them for hours and hours. Anytime you enter a new room, a prompt comes up announcing that you're in a new room and the game game stops unless you press the button to make the icon go away. Very sluggish. Worse so, the design of the game can be contradictory. There are time limits during the chapters which put the pressure on you to get a move on, but the game gives you no tools or means to expedite the journey. It's like you're waiting impatiently at the bank and a snail is in front of you, and then when they get to the teller, the teller has to count out a full jar of pennies. If I were to think of Glass Rose as a novel or screenplay, or a campfire story it certainly wouldn't be a tight one. Even within the context of a story-based adventure game, there's too much dialogue that simply seems to be there for the sake of itself. You have to keep track of over 20 twenty characters: first and last name in order to progress, but rather than trying to get to know the characters as people, they just babble inanely. They're less like people and more like names way down on a family tree. There’s too much bumbling around. Even with the likeness of Masahiro Matsuoka, a Japanese celebrity of some notoriety, Glass Rose failed to find an audience in Japan. Sales were very poor and the reviews were apathetic. It later had a European release that was localized in American English, but funnily enough was never officially released in North America. It was thought that the game would not sell here. Cing's second game was their first of 4 collaborations with Nintendo. Moving towards American characters and an American setting, Another Code: Two Memories (released in the US as Trace Memory) puts you in the shoes of 13 going-on 14 year-old half Japanese/half American Ashley Robbins as she goes on a ghostly adventure to find her previously-thought-to-be-dead father. I’ll be waiting for you here on Blood Edward Island. I want to spend your fourteenth birthday with you. And so she and her aunt sets off for the Pacific Northwest. They take a boat to the Island, the aunt gets lost, Ashley befriends a ghost boy that only she can see and hear...kinda like the Great Gazoo and thus the adventure begins. When you can actually move your character around, you see Ashley from a bird's eye perspective. Ashley using the Nintendo DS within the game oddly works in a meta-contextual sense. You see, besides general exploring, interacting with objects and talking to people, Trace Memory makes use of the DS touch screen and microphone which were novel features at the time. There's even two puzzles that force you to close the DS. Have fun trying to figure out which ones those are! Trace Memory still has some growing pains, but I feel here is when Cing's identity as a game marker started to take shape. The game has the tone of a detective game, except you're not some trench-cost wearin', chain-smoking, world weary, middle aged man... you're a rambunctious youth, and the look of a graphic novel. From the get-go, the game seems to be a straight-on personal mystery with a science fiction slant, but the introduction of the ghost character D allows a supernatural element to creep into the story. As things unwind, we learn that Ashley's parents are brilliant memory scientists. How this all ties into the memory device, the importance of the island, Ashley's memories, I'd rather not spoil. "Memories are a device for moving the game along." There's the death of a parent. Remember: this game was made under the Nintendo label and one of the first things you see is someone's mom being gunned down. Family abandonment. A character is driven to suicide. There is the possible issue of gaslighting. That is to say, Person A manipulating Person B's memories to re-write the past in Person A's favor that Ashley's aunt Jessica does to her. At least she seems remorseful about it but it’s still an awful thing to do to someone. Ashley is an inquisitive and introspective fictional person and I have a lot of fun walking in her shoes. Is it to late to ask for her to be in Smash Bros? Might be out of the question because it seems to become a more obscure character with each passing day. Beyond having a story that is easy to get into, yet interesting enough to want you to move forward, Trace Memory has a great script. The character conversations are interesting enough for you to want to know what the characters are thinking and what they have to say. The dialogue is not overly clipped or poetic, it's naturalistic. At least that's my experience as an American. There are 3 scripts for Trace Memory: The original Japanese, an American English script and a British English script for Europe. I'm told in the European English version, the dialogue is a bit different in some parts, and there's even occasions when Ashley uses the word "mum" which is just weird, because she's supposed to be American! You're enjoyment of Trace Memory will most likely come from weather you enjoy the story or characters or setting and not so much from a "gameplay perspective." Trace Memory isn't hard at all. There are truly no player stakes. You can't "lose". Maybe you'll get stumped on a puzzle, but that's about it. My first time playing through Trace Memory I was able to beat it in 3 play sessions while my DS was on the same charge. Maybe 6-7 hours total? And my most recent run was 5 hours. The game is long enough to get invested but short enough to not go on forever. Overall, I liked Trace Memory, liked it enough to have given it about 5 runs in my lifetime and I would recommend it for people looking for an artsy, story-based DS game. And for God's sake, get the Good Ending. Trace Memory performed slightly better than Glass Rose, but the sales were still not very good, especially in the US. The reviews were largely mediocre to average. The game was never reprinted or re-released. 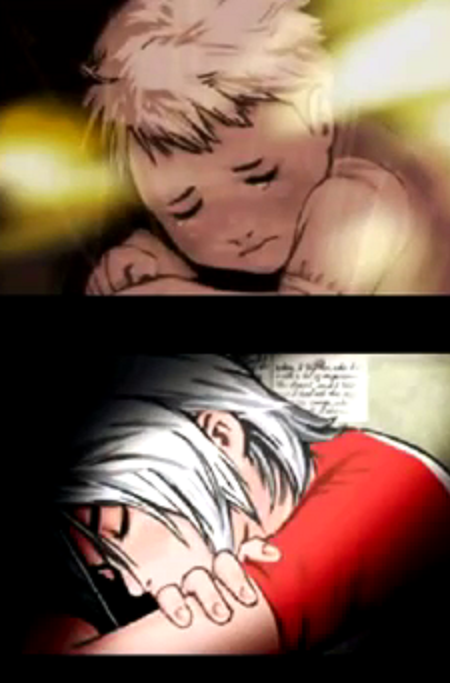 Ashley was however fortunate enough to get a trophy in Smash Bros Brawl. 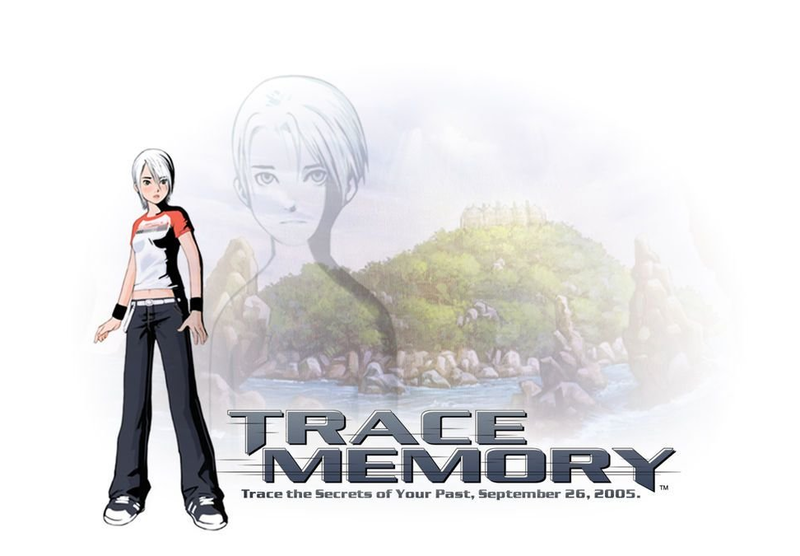 4 years later, Trace Memory/Another Code would have a sequel in the form of Another Code: R – A Journey into Lost Memories for the Nintendo Wii. The reason why it was put out under the Another Code name is because it was only released in Japan and Europe. I've never personally played it (I saw one of my buddies stream it: start-to-finish), and maybe I shouldn't jump the gun... but it is by all accounts terrible. The puzzles don't look interesting and the story isn't strong enough to support itself. I like Ashley Robbins, but I don't want to revisit the character if the story is weak. Another Code: R was panned by critics and flopped in Japan.